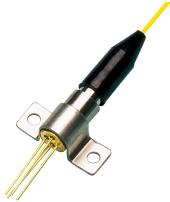 Agiltron is a leading producer of infrared detector products in the 1 to 5.5 micron wavelength region. It is perfecting the proprietary technologies of fabricating lead salt detectors accumulated well over twenty years. Lead salt detectors operate in photoconductive mode that become less resistant upon infrared radiation. They absorb energy selectively in the infrared bands of 1-3µm (PbS) and 3-5µm (PbSe), respectively. They are either operated at room temperature or thermoelectrically cooled, and can be equipped with integrated optical filters, pre-amplifiers or multiplexed amplifiers for arrays. Typical applications include moisture measurement, gas sensing, and chemical analysis. All packages are 100% tested and available for immediate delivery. 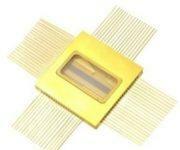 We offer standard and customised lead selenide (PbSe) and lead sulphide (PbS) infrared detectors and infrared arrays. These detectors are manufactured in accordance with ISO quality control standard.